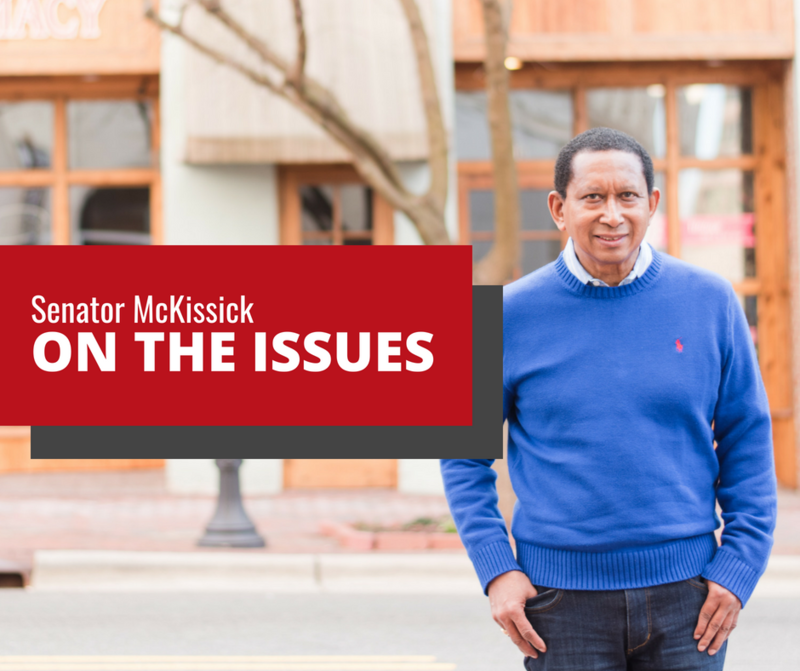 Senator McKissick discusses the passage of the new Voter ID Law and serious case of voter fraud committed with absentee ballots in Bladen County, NC. Today, Senate Bill 824, which implements our state’s new constitutional amendment which will require voter IDs in future elections, received a final vote in the NC Senate and has now become the law of the State of NC. I fully anticipate that Governor Cooper will veto this legislation and that his veto will be overridden during this Special Session of the NC General Assembly. Today, protestors were present in opposition to our state’s new voter ID law. There were a few changes made to the bill by the NC House, the most significant one, in my opinion, will require the NC State Board of Elections to adopt new rules relating to the requesting of absentee ballots in our state. In the future, a person will need to submit some form of photo identification when requesting an absentee ballot. I suspect that other changes could be made to the absentee ballot process. This particular change was enacted as a result of the compelling evidence of rampant voter fraud relating to absentee ballots in Bladen County, NC during the November General Election by a Republican consultant who was working on behalf of Mark Harris, who is a Republican running for Congress from the 9th Congressional District. As a result of ongoing investigations, the election results from the 9th Congressional District and from other races in Bladen County have not been certified by the State Board of Elections. I am optimistic that a new Special Election will be called for the 9th Congressional District so that we can have confidence in the outcome of that race. At this time, the Democrat, Dan McCready, is losing by approximately 905 votes, however, the Republican consultant and his team who were working vigorously in Bladen County on behalf of Mark Harris have submitted hundreds of absentee ballots and absentee ballot applications whose validity is questionable. Today, Senate Republicans attempted to politicize the Bladen County situation by asking that Governor Cooper appoint a special task force to investigate absentee balloting in Bladen County, however, the scope of the task force’s investigation appears to be much broader than what is necessary or justified. We have a State Board of Elections which is lawfully charged with conducting investigations into the Bladen County situation as well as a District Attorney who can take action if criminal charges are necessary. That should be sufficient to address this current crisis that we are facing. 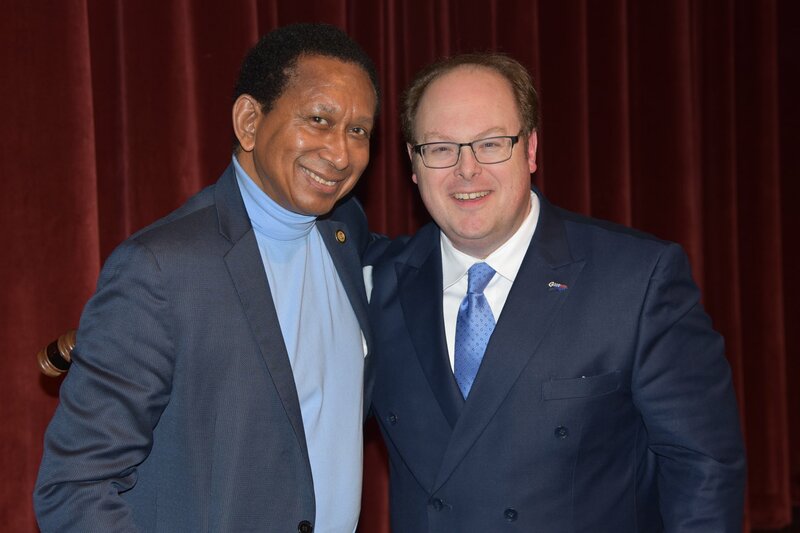 We need to get the necessary investigations completed as expeditiously as possible, and, hopefully, a new Special Election can be conducted that will allow the voters of the 9th Congressional District to have a legitimate voice and Representative in Congress. Yesterday, I had a great time participating in the Christmas Parade sponsored by the Hillsborough/Orange County Chamber of Commerce in Downtown Hillsborough. The thing I love about this parade is that the streets are lined with people of all ages, particularly children, who are absolutely thrilled, excited, and anxiously anticipating the arrival of marching bands, dance groups, floats, and, of course, Santa Clause. This year, the Grand Marshal was Tisha Powell, who is a News Anchor for WTVD who is always visible and active in all of the communities in the Triangle. If you’ve not had a chance to attend Hillsborough’s Parade, then please be certain to check it out next year. I’d also like to thank Kim Tesoro of the Chamber of Commerce for her leadership in organizing this event. Scott’s concerns arose as the result of a 1991 US Justice Department memo which was leaked this week which raised concerns over Farr’s role in a well-known voter suppression scheme that took place during the 1984 and 1990 of US Senator Jesse Helms (R-N.C.) which targeted African American voters. Farr worked for Senator Helms at that time. Today, Chief Justice John Roberts of the United States Supreme Court took a bold step in speaking out in support of the independence and integrity of judges serving as part of the Federal Judiciary. He made his statement to rebuke a statement made by President Trump earlier this week when he criticized a judge and in doing so referred to him as an “Obama judge” who had entered an order in opposition to his recently announced asylum policy for immigrants. Judge Roberts stated that Trump’s statement essentially reflected a profound misunderstanding of the role of the judiciary. He went on to say “We do not have Obama judges or Trumps judges, Bush judges or Clinton Judges, what we have is an extraordinary group of dedicated judges doing their level best to do equal right to those appearing before them.” I’d like to commend Chief Justice Roberts for his statement, however, President Trump could not accept the Chief Justice’s statement, and he subsequently lashed out and stated in a tweet that we do indeed have “Obama judges.” President Trump continues to show disrespect for the independence of our Judiciary System as well as to other institutions of government which undermines the moral and legal integrity of our country, however, I’m no longer shocked by those things that he says and does, I simply long and pray for a day that we once again have a moral, responsible president leading our country who respects the separation of powers in our branches of government and who stands up for the principles that we collectively embody, embrace, and respect. 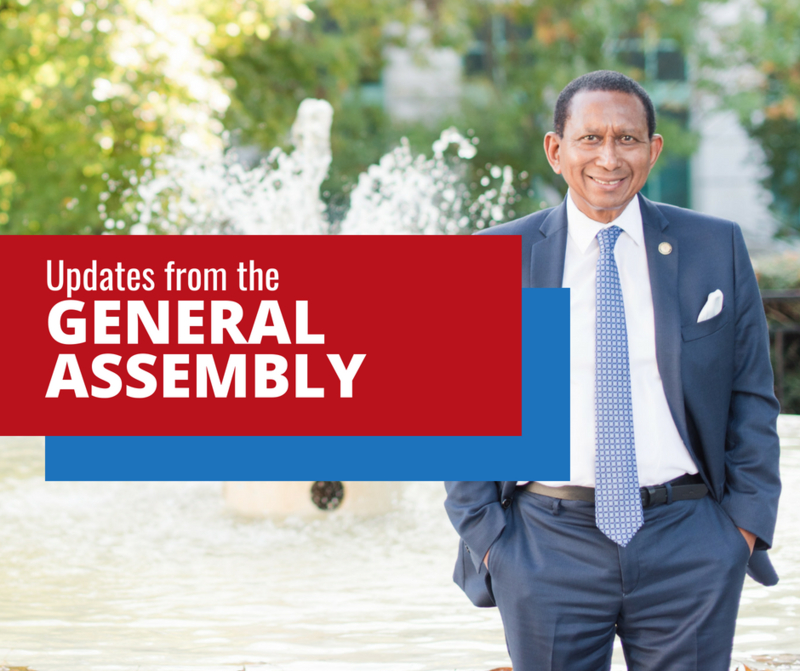 Senator McKissick explains the proposed legislation to implement the new NC Voter ID Requirements following the proposed amendments voted on in the 2018 election. In case you missed it, yesterday, a draft bill was released which will establish criteria for voters to obtain and use photo IDs in future elections in NC. This bill will be voted on during the Special Session of the General Assembly which will begin November 27th and it will implement the new NC Constitutional Amendment approved by voters a few weeks ago which will require all voters in future elections to present an acceptable photo ID card before a lawfully registered person will be able to vote. -A Valid Driver’s License or Special Identification card issued by another state, however, it would only be good if the voter’s registration has occurred within 90 days of an election. All of the above forms of identification would need to be current and unexpired, however, if a voter was 70 years old at the time he or she presented the ID, and the ID card was unexpired on the voter’s 70th birthday, then it would be acceptable. If for some reason a person did not have an acceptable form of ID, then they could cast a provisional ballot and it would be counted if the voter were to bring in a valid photo ID to the County Board of Elections no later than the end of the business day prior to the canvassing of votes for an election by the County Board of Elections. In addition, a voter could sign a Reasonable Impediment Affidavit upon which a voter could identify one of several reasons why the person was unable to obtain a photo identification card. Lastly, a voter would not have to produce a photo ID if they had a religious objection to being photographed, however, the voter would be required to complete an affidavit under penalty of perjury to that effect. The proposed legislation I have reviewed is a step in the right direction, however, there is still a need to broaden its provisions to ensure that none of the 300,000 people who are lawfully registered to vote today, who do not have government-issued IDs, will still be able to vote as they have in the past, without discrimination, harassment, or difficulties. I would like to thank Ms. Theresa El-Amin, the Founder and Regional Director of the Southern Anti-Racism Network (SARN), for hosting a wonderful 20th Anniversary Celebration for this organization yesterday evening at the Hayti Heritage Center in Durham, NC. 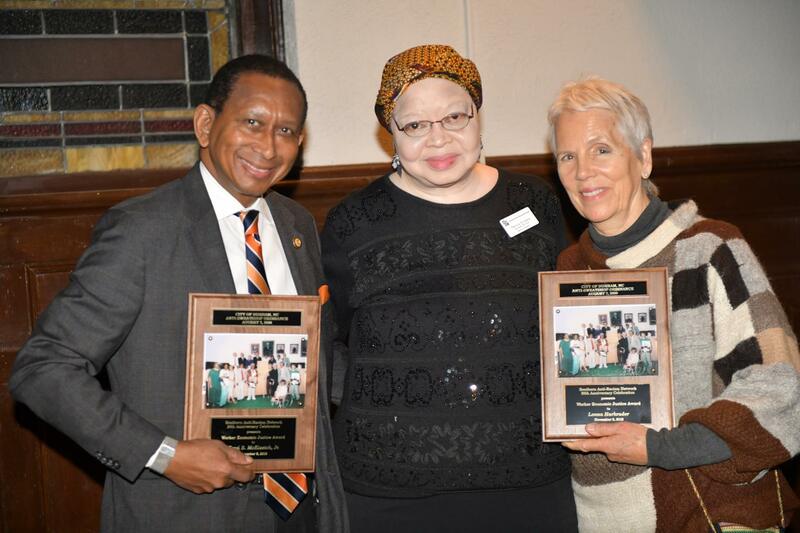 It was my privilege and honor yesterday evening to be the recipient of the organization’s Worker Economic Justice Award. My dear friend, Lonna Harkrader, was the co-recipient of this award. This award was given to us in recognition of our efforts in passing the City of Durham’s Anti-Sweatshop Ordinance on August 7th, 2000. I was a member of City Council at the time and led efforts to pass the Anti-Sweatshop Ordinance which essentially stated that the City of Durham would not conduct business with businesses or entities that exploited labor which constituted sweatshops as the term was defined in the ordinance which included businesses that used and exploited child labor. As a member of the NC Senate, in 2009, I sponsored legislation that allowed the City of Durham to expand these anti-sweatshop protections. Ms. Anne Wolfley was awarded the Richard Paddock “Reliable Ally” Award for her work on behalf of SARN. I would like to thank SARN for the recognition which I received and for the advocacy which they have provided over the years. 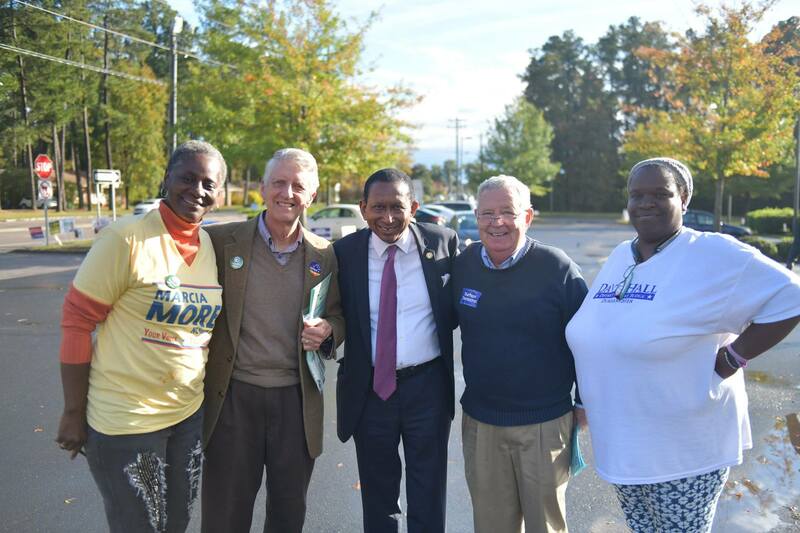 Yesterday, voters from across our state came together to elect dynamic new leadership to the NC General Assembly that will break the Republican supermajorities in both the State House and the State Senate. Based upon vote totals at this time, 6 new members were elected to the State Senate, and 8 new members have been elected to the State House. 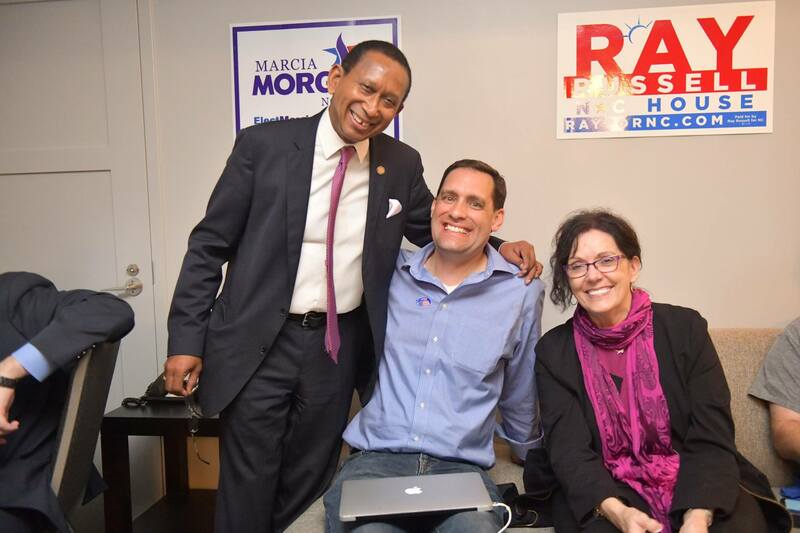 The new members of the Senate will be Natasha Marcus, who defeated Jeff Tarte by 11,680 votes, Sam Searcy, who defeated Tamara Barringer by 3,798 votes, Michael Garret, who defeated Trudy Wade by 763 votes, Harper Peterson, who defeated Michael Lee by 36 votes, Kirk DeViere, who defeated Wesley Meredith by 306 votes, and of course Wiley Nickel was elected to a new seat in Wake County. These vote totals are preliminary since provisional ballots as well as absentee ballots will still need to be counted and it could potentially change the outcome in some of these close races. It really speaks to why when we say that every vote counts — we mean it. In the State House, the victories went to Sydney Batch, Terence Everitt, Brandon Lofton, Ray Russel, Christy Clarke, Joe Sam Queen, and Julie von Haefen. The race of Rachel Hunt remains too close to call since she is only 52 votes down at this time. I’d like to congratulate all of the statewide candidates for judgeships who won, and, in particular, I would like to congratulate the newest member of our State Supreme Court, Anita Earls. Those winning seats on the Court of Appeals were John Arrowood, Toby Hampson, and Allegra Collins. Unfortunately, four of the proposed constitutional amendments were approved by voters including the one which will require voter I.D.’s in the future. Voters soundly defeated the amendments that would change the way judges are appointed in our state as well as the one which would have changed the makeup of our State Board of Elections and Ethics. I spent yesterday visiting many of Durham’s voting precincts, and, as the evening went on, I was up until 2:00 am watching vote totals come in in contested General Assembly races and celebrating with those who won statewide judgeships. It was a great and exciting day for NC, and particularly for the Democrats who offered themselves for the consideration of voters. I always enjoy getting out to greet voters on Election Day, but more importantly, thanking the many people who work at precincts all across our state to help oversee our elections. I always thank those who are Democrat as well as Republican since they all start their day before 6:00 am, and they seldom leave until after 9:00 pm the day of an election. Our elections could not be held without the selfless dedication of these precinct officials. Thank you all for your service to our state and to our community. Unfortunately, I could not take their photographs inside of a voting precinct, therefore, this post only shows photos of some of those who I greeted at the polls. Today, President Donald Trump announced his intent to execute an Executive Order that would eliminate birthright citizenship. Pursuant to the 14th Amendment of the United States Constitution, those persons born in the United States become citizens upon their birth in this country. This means that even if one’s parents were not citizens of this country, that an infant would still be an American citizen if the child was born in the United States. President Trump is of the opinion that notwithstanding language in the US Constitution to this effect, that he has the power through the execution of an Executive Order to end birthright citizenship to infants whose parents are not citizens of our country. President Trump is essentially launching an attack against innocent children. This new policy follows the policy embarked upon last spring to separate children from their parents when they enter the United States seeking asylum. I don’t know when and if it will ever end. Just yesterday, President Trump, in an interview on Fox News, announced once again that he was a Nationalist, and when provided an opportunity to clarify his remarks, he refused to do so even though he knows that there are White Nationalist racist organizations that identify with him and support him. He should repudiate their support and everything that they stand for, and use his best efforts to distance himself philosophically from these fringe groups. The reason he does not do so speaks for itself.